Financial identity theft occurs when an individual’s identifying information is stolen for the purpose of committing some kind of financial fraud, usually to the detriment of the victim. Beyond monetary losses, victims can face repercussions in other areas of their lives. Negative marks in their credit information can lead to loss of work opportunities and difficulty securing loans. The evidence suggests that this form of crime is widespread. In 2014, 7% of Americans over the age of 16 reported experiencing identity theft that year. Afull 86% of those victims reported fraudulent use of information belonging to a financial account, such as a bank or credit card account. This makes financial identity theft by far the most common kind of identity theft. How Is Financial Identity Theft Committed? Criminals use a variety of techniques to obtain victims’ information, ranging from crude physical methods to sophisticated technological attacks. One of the simplest attack vectors involves sifting through dumpsters or victims’ private garbage for credit card statements, bills, or other important financial documents that were thrown away. 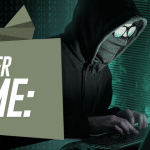 In another straightforward approach, the criminal simply peers over the shoulder of a victim entering his or her information on a keyboard or ATM keypad. The seeming unsophistication of this method may be what makes it so dangerous, as it may not even occur to a victim that someone could try it. On the other end of the spectrum are methods that take advantage of technology. These can include digital or software-based attacks such as “phishing,” where users are tricked into entering login information or other critical data in what appears to be a legitimate page. It appears to be from a legitimate institution’s site, but is actually a dummy page set up to relay the victim’s information the attacker. Another common attack uses ATM overlays, which are dummy keypads placed over the keypads on ATM machines. The user’s information is captured using a camera or other device and recorded. Consumers can prevent against these kinds of attacks by making sure to safely dispose of sensitive documents by shredding them. At the same time, victims cannot always be expected to avoid fraud. 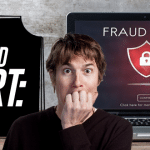 For this reason, credit card companies generally offer fraud protection to their customers in the form of a zero-liability policy or similar arrangement. These policies can vary by company and specific credit card plan, so cardholders should verify their own card’s guidelines. If there is a “bright side” of financial identity theft, this is it: only about 14% of victims experienced a loss of $1 or more in 2014, and of those, only about half lost $100 or more. Despite these policies, caution should still be practiced when entering information at an ATM keypad (or any other public interface). The user can scrutinize the keypad to look for any irregularities, such as more thickness than usual or a different appearance from other keypads belonging to the same bank or ATM company. This has been an overview of a large and difficult topic. Financial identity theft remains a stubborn problem that may become even more common as our financial system becomes increasingly digital. Financial identity theft is the most common way for identity theft. Protect yourself by understand how you expose yourself online.